...is scheduled as the guest speaker for the 255th meeting of the Karl Hess Club, to convene on July 20, 2015. Alan Pyeatt on "Current Issues in Indian Country"
The indigenous people of Turtle Island (also known as North America) face unique social and political challenges. These include the sale of a sacred ceremonial site at Oak Flat, Arizona, the proposed canonization of Junipero Serra, and the continuing imprisonment of Leonard Peltier. We will examine how the Turtle Islanders' numerical weakness, and the limited sovereignty allowed to them by the United States, impedes their defense of their land and culture. 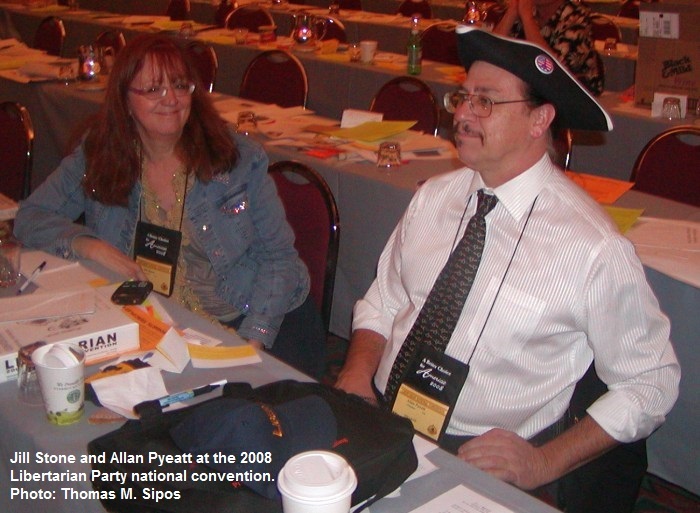 Alan Pyeatt is a libertarian of Cherokee and European descent. He maintains contact with traditional Cherokee culture, and has served on the Governing Council of Tsa-la-gi L.A., the satellite community of the Cherokee Nation in Los Angeles County. Alan is a longtime Libertarian Party activist on the local, state, and national levels. He was featured in the campaign video of former Principal Chief Chad Smith.